We all want more space in our homes—but do we need it? Huge, expensive homes no longer seem like a great investment when you realize that it’s totally possible for them to lose half their value almost overnight. Instead of always having to move up to bigger and better, you can vastly increase the amount of useable space in the place you already have by being smarter with it. Here are five gorgeous pieces that will help you do just that. 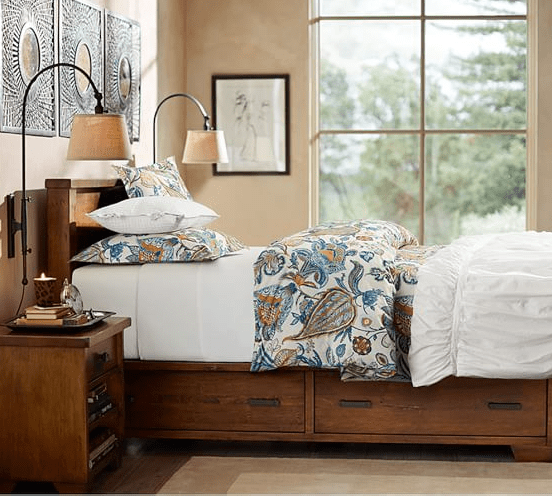 This is not only a gorgeous bed, but it’s a smart design that saves you money. No buying plastic under-bed bins, no box spring. There are four drawers underneath, two on each side that can take the place of a dresser or bedside tables. Perfect for small bedrooms that don’t allow for much extra furniture, not to mention huge savings. Not to get too stuck on beds, but this one hits all the high marks. It’s a storage unit, sofa, and double bed all in one. 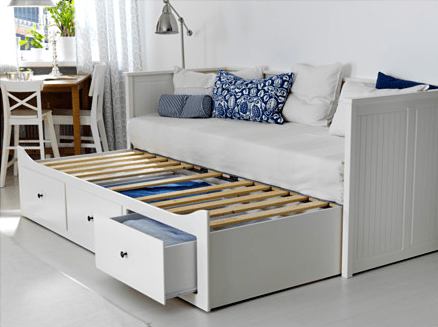 The two large drawers are handy for books or clothes, and when you have extra company, the entire bottom section slides out to make a double bed. Perfect for a kids room or a sunroom. 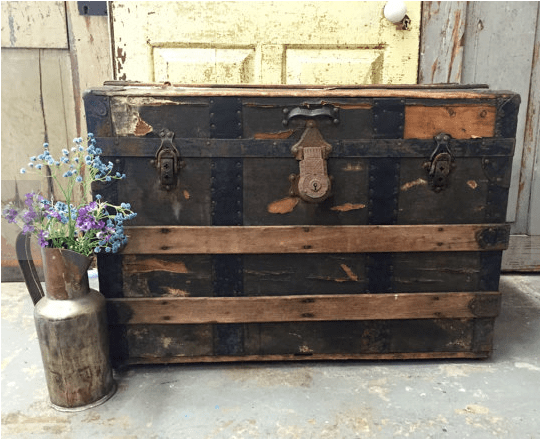 I just love using vintage steamer trunks for side and coffee tables. They are so unique and interesting, and yet they hold a ton of stuff—books, blankets, pillows, wine, whatever. And you can find them just about anywhere—eBay, Etsy, Craigslist—at just about any price point. You can paint them to fit your décor or leave them as-is for that antique store look. For a more pulled-together look, pair with modern pieces and accessories, so their uniqueness really stands out. Sometimes being tight on space means the room shape or design doesn’t accommodate an efficient arrangement. This could be a living room that’s long and narrow or has inconveniently places doorways. This modular sofa with a built-in bookcase provides storage and also makes a nice room divider if it’s your space that has to do double-duty more so than your furniture. 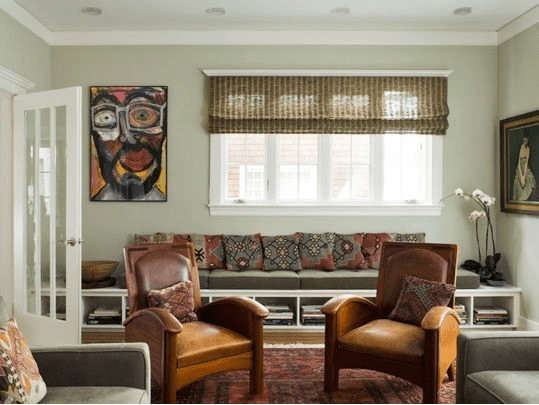 Built-ins can provide extra seating and storage opportunities! I love this idea of taking a shelving unit from Ikea, putting it on its end and adding some seat cushions to create a window seat. Add a drop-leaf table on an adjacent wall, and you have a convertible sofa and dining area with little effort. Erin Burt is a freelance writer and mother of three girls who is always finding creative ways to get more use out of the space she has. She lives and writes in Oklahoma City.